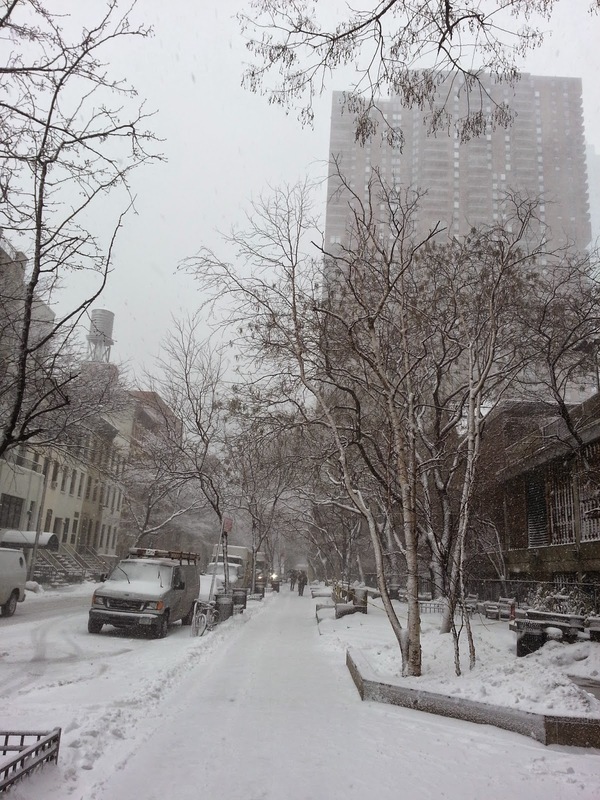 New York has two faces when it comes to snow storms. There’s there the beautiful moment when the snow is fresh or even still falling, and the flakes collect on branches and sidewalks, softening sounds and conveying tranquility. The calm and beauty is especially evident on side streets, like 43rd between 10th and 9th pictured. Then there are the days post-snowfall, when the white turns gray. Sometimes, at busy intersections, the gray appears instantaneously, especially when the new snow combines with old snow. 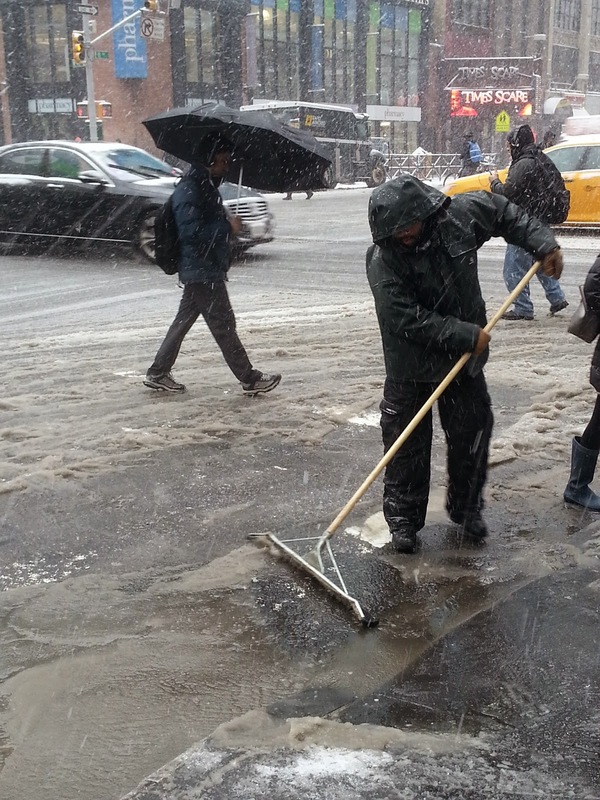 Such was the case a few minutes ago in Times Square, where a man was trying to squeegee away a huge puddle of slushy snow from the corner of 42nd and 8th Avenue.